Over two decades ago, an evil leprechaun was defeated by a young woman and her friends, force-fed a four-leaf clover and shoved down a well to meet his vicious end. Now he’s back and he has brought along some new rhymes to shout, so you best beware, kids, ‘cause your luck has just ran out! 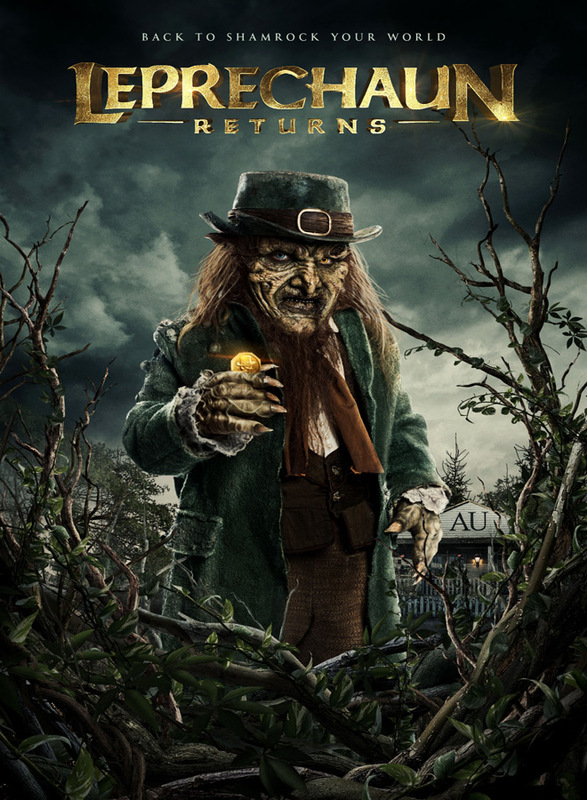 Leprechaun Returns arrives to Digital and On Demand on Tuesday, December 11, 2018, thanks to Lionsgate. 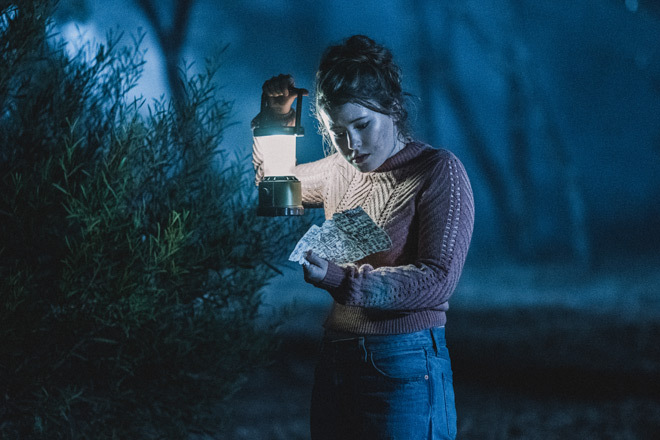 Lila Jenkins (Taylor Spreitler: Days of Our Lives series, Amityville: The Awakening 2017) arrives to Devil’s Lake, North Dakota, to become the newest member of the brand-new Alpha Upsilon eco-friendly sorority at Larimore University. When her ride fails to turn up at the bus depot, she finds herself traveling to the remote sorority house with the awkward but friendly local Ozzie (Mark Holton: Pee-wee’s Big Adventure 1985, Leprechaun 1993). As luck would have it, Ozzie knew her mother, Tory Reding, and is intimately acquainted with the home that Lila is about to inhabit. Ominously, he asks if her mother told her anything about this property before she passed away and, failing to provide a further explanation, he warns Lila that, if everything is not okay, to look in the basement. Upon arrival at the dusty ranch – complete with goats – Lila meets her new sisters: high-strung, de facto leader Rose (Sai Bennett: Mr Selfridge series, Lake Placid: Legacy 2018), beautiful but dippy Katie (Pepi Sonuga: Ash vs Evil Dead series, Famous in Love series), and alcoholic botanist Meredith (Emily Reid: Aquilo short 2017, Curfew series). Not long after her arrival, the feisty Meredith delivers some pizza and beer to the group, along with two male visitors: Katie’s equally dippy friend with benefits Andy (Ben McGregor: Young Dracula series, The Machine 2013) and his friend Matt (Oliver Llewellyn Jenkins: The Story of Tracy Beaker series, Doctors series), a film student. It goes without saying that in a Horror film, sorority life is guaranteed hell! Thus, when a creepy little murderous leprechaun (Linden Porco: Cult of Chucky 2017, Channel Zero series), who oft speaks in rhyme, arrives on the scene, heads will be decapitated before the ladies, and the two dudes, can figure out exactly what it is that this Irish lad is searching for. 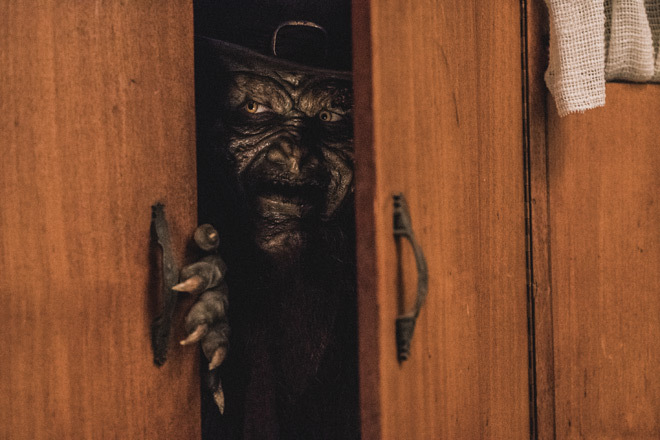 Clocking in at 92 minutes in-length (but only about three feet in height), Leprechaun Returns was directed by Steven Kostanski (Father’s Day 2011, The Void 2016) and written by Suzanne Keilly (Ash vs Evil Dead series, Dallas & Robo series), based off the story created by Mark Jones (Leprechaun 1993, Leprechaun in the Hood 2000). It has been 25 years since Leprechaun first debuted and introduced its off-kilter brand of Horror, Comedy and Fantasy. While the franchise currently numbers seven films – ranging from 1994’s Leprechaun 2 to 2014’s Leprechaun: Origins – Leprechaun Returns opts to dial it back to that very first, 1993 debut, and picks up its tale in the future, with the daughter of Tory Reding facing off against the evil green guy. This is perhaps one of the best decisions made by its creators, who thankfully manage to avoid another romp through the ‘hood or, worse yet, a leprechaun in space. Unfortunately, the man who made that original bad guy so entertaining, Warwick Davis, is absent here. That’s the bad news, but the good news is that Porco’s leprechaun is genius: he is vile and hilarious, full of one-liners and limericks, and everything that a vicious, killer leprechaun should be. Porco anchors the entire film with his portrayal, which is completely off-beat, and creates a character that we yet again hate to love. In fact, viewers cannot help but to guffaw when he literally loses his head, pops it back into place, and leers at Lila while quipping, “You give great head!” There is also a dig at Crocs (yes, the fugly shoe brand) and a wonderfully-placed MC Hammer reference. This drone-riding leprechaun is definitely up on his pop culture, and he’s willing to use his knowledge for the good of comedy! As the lead actress, Spreitler fares well in her role, a basic “new girl” trope. So, while Lila isn’t the most engrossing of characters, she is merely meant to give the story something more than just, well, a kooky killer leprechaun. The other ladies – Bennett (Rose), Sonuga (Katie), and Reid (Meredith) – are given a bit less to work with, and their roles too are basic tropes: Rose being the high-strung, take-charge gal who buckles under pressure; Katie being the stunningly beautiful girl who is a bit dippy and whom is absolutely clueless with men; and Meredith being the party girl who only cares about herself. 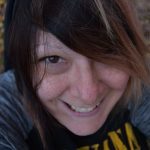 Though their characters are largely derivative and somewhat unlovable, the ladies portray them to the fullest of their abilities and offer up believable, well-rounded depictions. Oddly, it is the men – McGregor and Jenkins – who, in this instance, are largely cannon fodder. McGregor’s Andy is wholly unlikable, a dingus who is merely using Katie for her, ahem, favors, and has little respect for anything she has to say. Jenkins’ Matt is much more well-rounded in this sense, a film student who, while somewhat oblivious as film students can be, means well. Neither is a particularly memorable character, but the men give solid performances in their roles. Please do not misunderstand: Leprechaun Returns is no feminist treatise, but it certainly provides a cast of strong-willed ladies who admittedly fumble but are still willing to battle one bad dude to the very, brutal end. Just how vile is this little guy, you ask? Well, the corn syrup certainly does fly throughout the film! 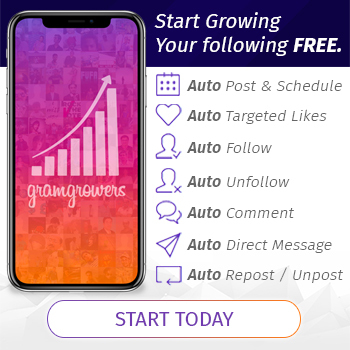 Okay, so the deaths are certainly not shocking in the goriest sense or even particularly ‘satisfying,’ but they are certainly creative – including death by mailbox, solar panel, sprinkler, and drone. Let’s face it, Leprechaun Returns was never destined to be the feel-good, sophisticated and mind-bending journey of the year, no: this is grade-B Horror/Comedy cheese at its very best. Simply put: it’s so damn ridiculous that it’s laughable and, therefore, enjoyable. 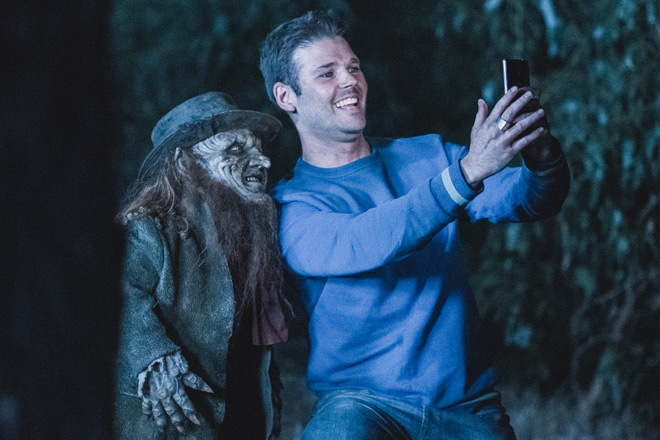 Chock-full of innuendo and pop culture humor – and a leprechaun who enjoys a good selfie – you can’t help but chuckle at Leprechaun Returns and that, my friends, is the point. 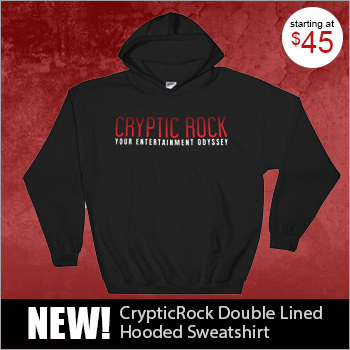 Appreciating this little pot of Horror-Comedy gold, Cryptic Rock give Leprechaun Returns 3.5 of 5 stars.